Wear your finest black tie attire and enjoy entertainment by The Dantones, hors d’oeuvres, beer and wine included with your $60 ticket (cash liquor bar available). Guest tickets can be purchased here or they will be available at the door. We’ll have specials for our group, including $4 Sailor Jerry, $2 PBR, $4 Wells til 7 PM, and new seafood dips on special. Friends, prospective members and guests welcome! Members, prospectives and guests welcome! Interested in Ptolemy, but want to know more? 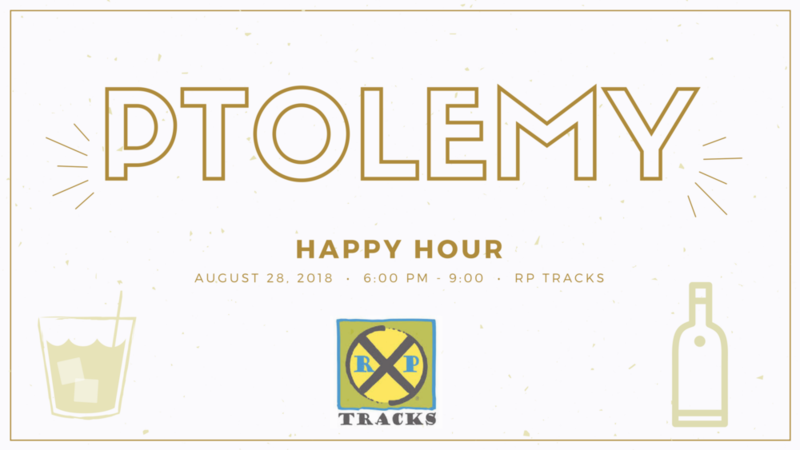 Happy hours are a great opportunity to meet members of the Krewe in a casual setting and learn more about us. Hors d’oeuvres, beer and wine included. Cash liquor bar available. Dress is black tie. Each Ptolemy membership includes 2 tickets. Guest tickets can be purchased here for $55 each (plus service fee) or they will be available at the door. Ptolemy will have a float again in the St. Patrick's Day parade on Saturday, March 11 at 3pm. Members can reserve spots here on the float for $15 each (plus service fee), limited to two spots per membership. Join us for our first Happy Hour of 2017! Members, prospectives and guests welcome. Arrive early to take advantage of Alchemy’s standard happy hour specials from 4-6pm. Know someone who is interested in joining Ptolemy but wants to know more? Happy hours are a great, casual way to meet members of the Krewe and learn more about us.